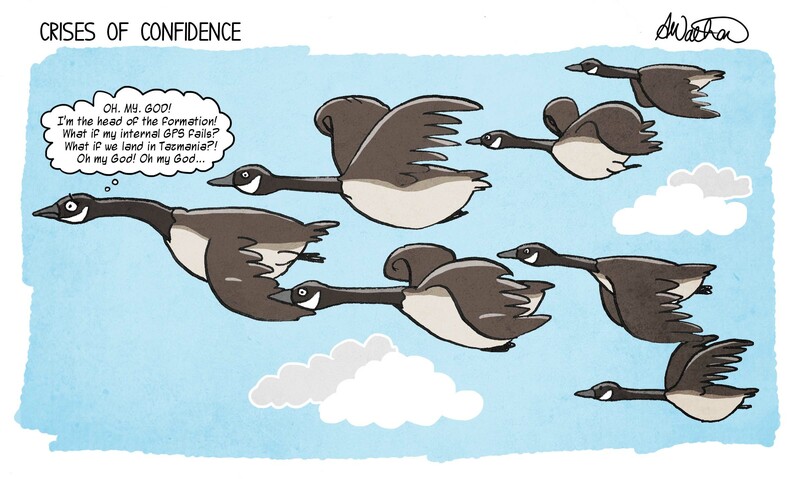 This entry was posted in Animals, Miscellaneous and tagged animals, art, birds, cartoon, confidence, geese by bighair63. Bookmark the permalink. Funny! Maybe nervousness explains the excessive pooping all over the place. It’s like a minefield here!